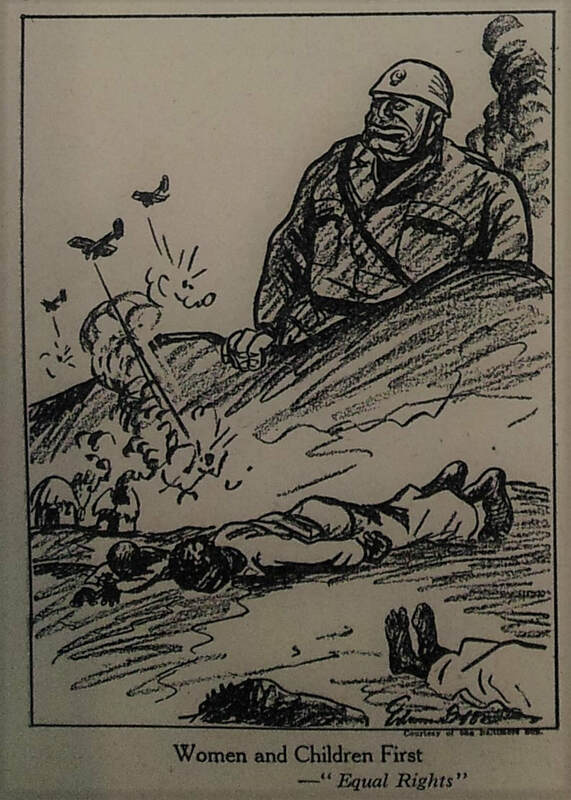 Political cartoons often make their point through "satire", i.e. "the use of humour, irony, exaggeration, or ridicule to expose and criticise people's stupidity or vices". 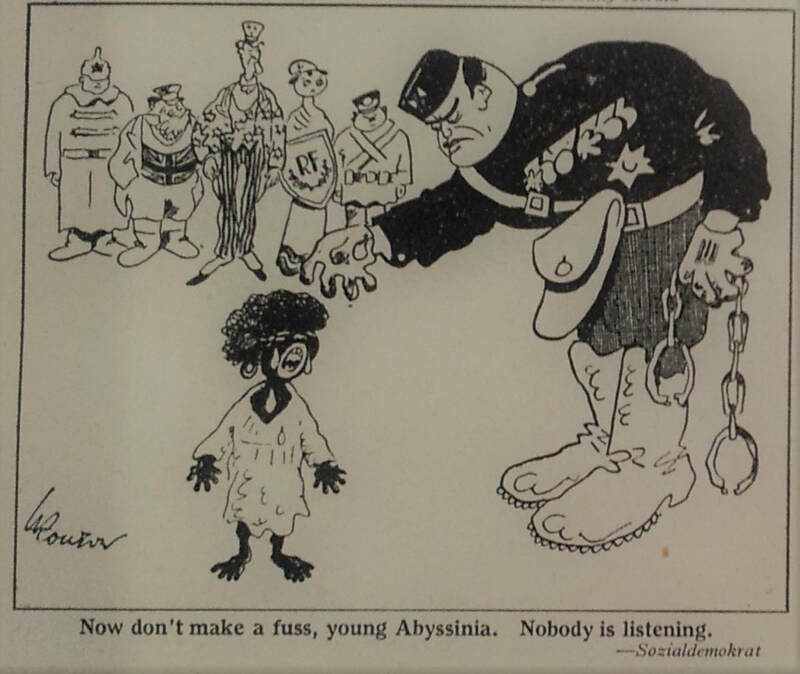 The cartoons featured below were all reproduced in British newspapers between 1935 and 1937. 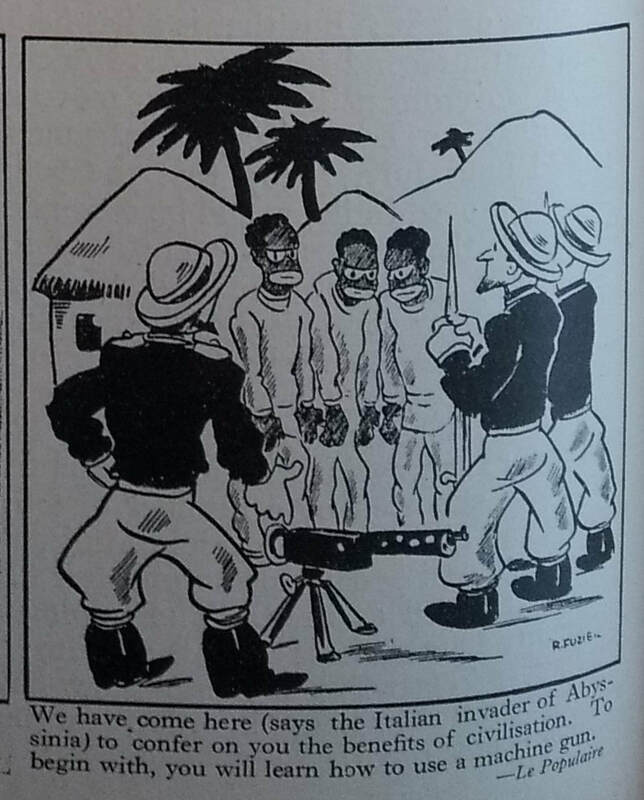 It is important to note that while the cartoons all expose vices and stupidities of European powers vis-a-vis their treatment of Ethiopia, some of them also deploy racist stereotypes of Africans. 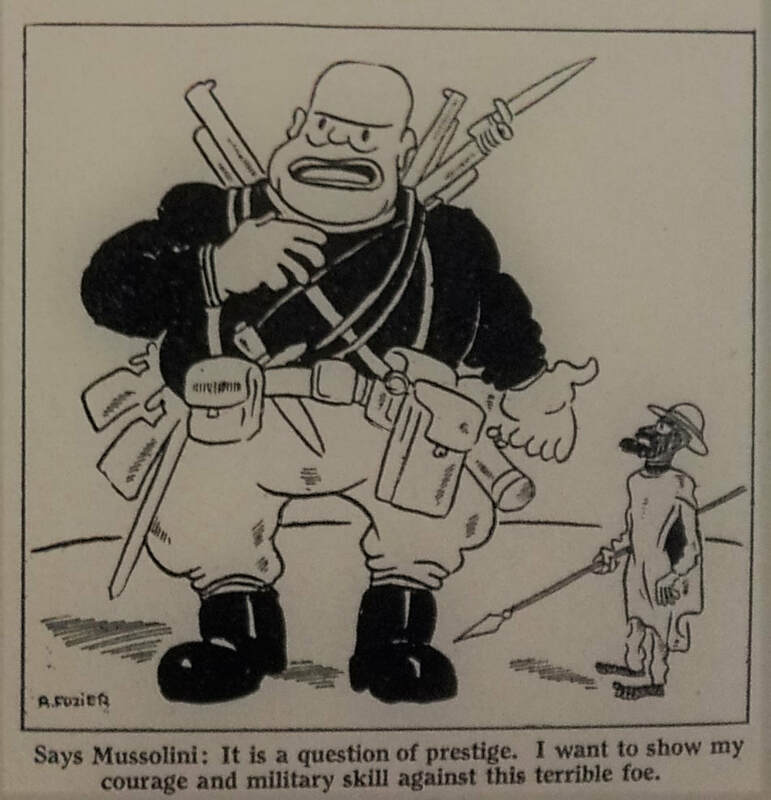 The cartoons variously reference: a) the failure of the League of Nations to put sanctions on fascist Italy when it invaded Ethiopia, and b) the justification that Mussolini used - that Italy was bringing civilisation to Ethiopia.